What’s the deal? 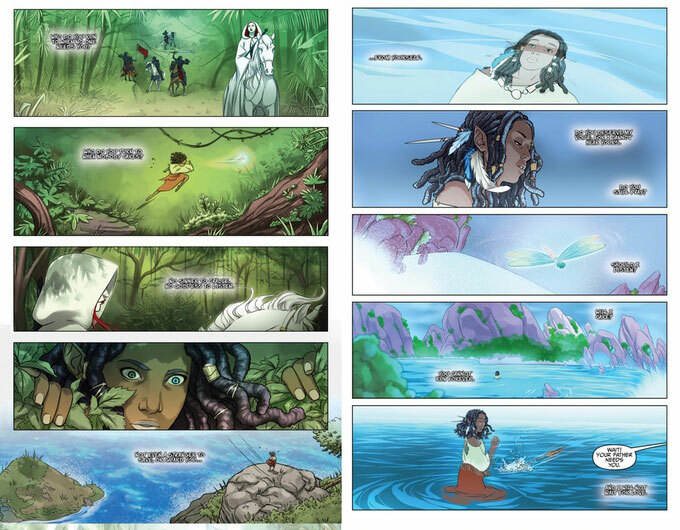 For $15 you can get digital editions of both books, and for $35 you can get the print editions — one hardcover, one comic book — plus the digital editions. Go higher for a variant cover by Jae Lee, autographed editions, prints and a Pathfinder RPG supplement featuring the characters. Also, jewelry and backpacks! Since it has passed its initial goal, the project is currently in the “stretch goal” phase, as they attempt to fund more pages, trading cards and more. Creators involved: Hazel Newlevant, Whit Taylor and Ø.K. 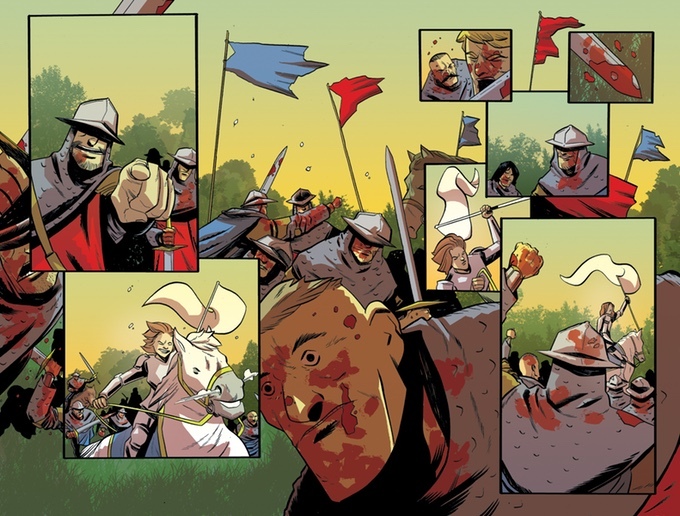 Fox are editing the anthology, which features comics by 60 creators. 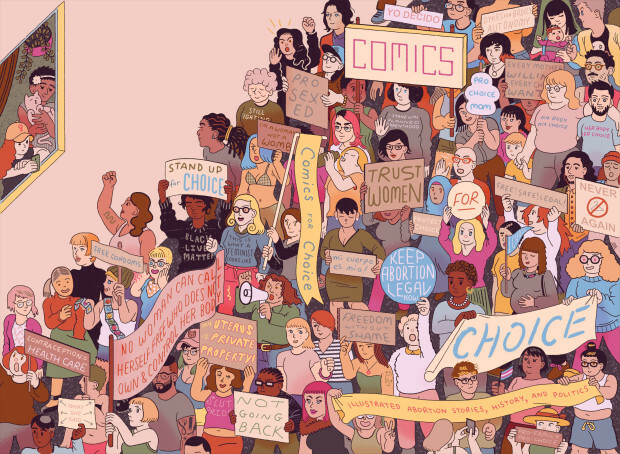 What to know: Comics for Choice is a benefit anthology, with proceeds going to the National Network of Abortion Funds. “This is a scary time for reproductive freedom in America. Around the country hundreds of thousands of people are denied their legal right to abortion because of politically motivated insurance coverage bans. The new administration is doing their best to make abortion care even harder to access, threatening to defund and close hundreds of clinics. Now is the time for us to use our art to fight stigma and raise money to protect this crucial right,” their IndieGoGo page reads. What’s the deal? $10 gets you a PDF of the 250+ page, 6″x10″ black & white comics anthology. $25 gets you the PDF plus a print copy ($40 for international backers), and for larger contributions you can get canvas patches or retailer bundles. 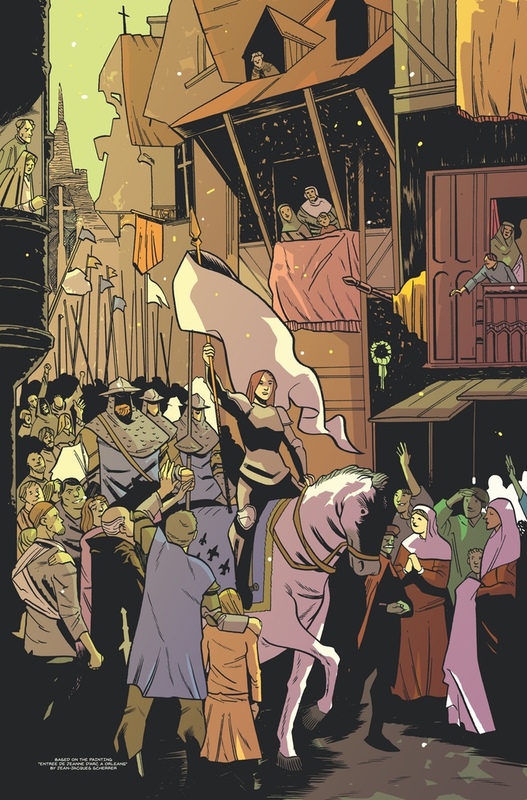 What to know: This 120+ page graphic novel will tell the story of Joan of Arc, a teenage girl who “lifted a siege, crowned a king, was captured, betrayed, and executed all before her 20th birthday.” A Flower in a Field of Lions tells the story of Joan of Arc from her perspective as she testifies at her own trial. What’s the deal? $5 gets you a PDF of the book, while for $15 you’ll get the digital and print versions. A “classroom” set of books is also available. What’s the deal? $13 gets you a digital copy, while a print copy is $25. Gillman is also offering book plates and custom commissions. Steve Ditko’s Mr. A returns with a 24th issue for the character’s 50th anniversary. 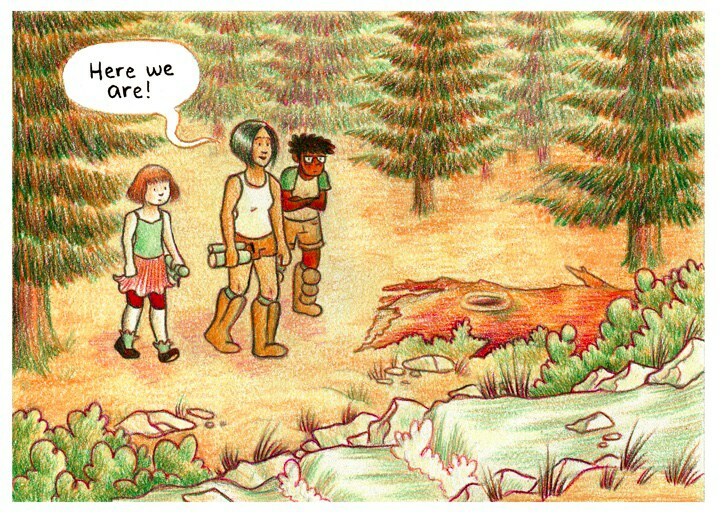 Check out the Kickstarter here. Following his issues with the IRS, writer Peter David has set up a Patreon where he’s offering sneak peaks of new stuff, behind-the-scenes content, advice on writing and more, depending on your level of contribution. Sunnyvale, California-based comic shop Comics Conspiracy needs to relocate, and has started a GoFundMe campaign to helps with costs.